Finding the best social media agency can be a real task but it is vital if your business isn’t doing great and you want to improve it with the help of someone who knows the answers on how to improve your brand presence on social media. Here’s presenting six smart strategies to find the best social media agency in Gurgaon, Delhi NCR. Clarify your objective- We help you to become more visible to your consumers without your staff or you spending so much time on social media networks. We are open to help you decide which objective is most significant to you. Up on trends- Ask questions to agency on their plans to handle certain things coming up in future social media. If they don’t know how to answer then they are not the best agency. Being up to date on what is coming in near future is important as the social media changes very fast and since there are many social media agency in Gurgaon, Delhi NCR the potential exposure for your brand is huge with the best agency. Get ready to interview- Check out each Social media marketing agency’s website and read through it then pick at least three that appeal to you to interview. Prepare a list of questions which are vital to you. Help with your strategy- Our agency will help you figure out your business goals and what you what to accomplish. 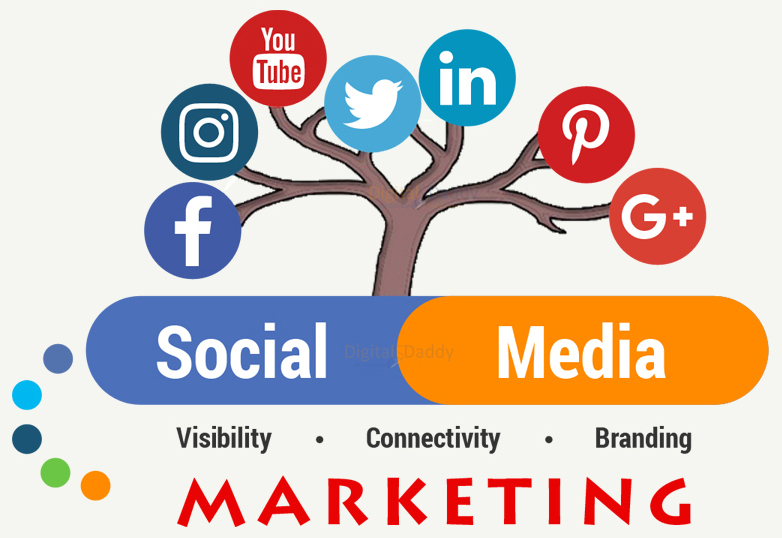 A good social media marketing agency will help you figure out strategy for your business type and let you know which social media network to get active for your business. Protect your reputation- Your profile says a lot about your Business so they need to be complete but some agencies does not believe in profiles so ensure you ask if they do them and if they keep them up to date when changes are made in your company. Do your homework- When you do your homework by researching and asking the right questions such as “Are there any reviews from clients? How important are there pricing to you?” you can find the best social marketing companies that is right for your business. If you choose Digitals Daddy as one of the best social media marketing companies in Gurgaon, Delhi India, then relax now since we offer support for your businesses by maintaining a solid presence on social media. We will be with you throughout your social media experiences. How To Find The Best Social Media Agency In Gurgaon, Delhi, India? If you choose Digitals Daddy as one of the best social media marketing companies in Gurgaon, Delhi India, then relax now since we offer support for your businesses by maintaining a solid presence on social media.